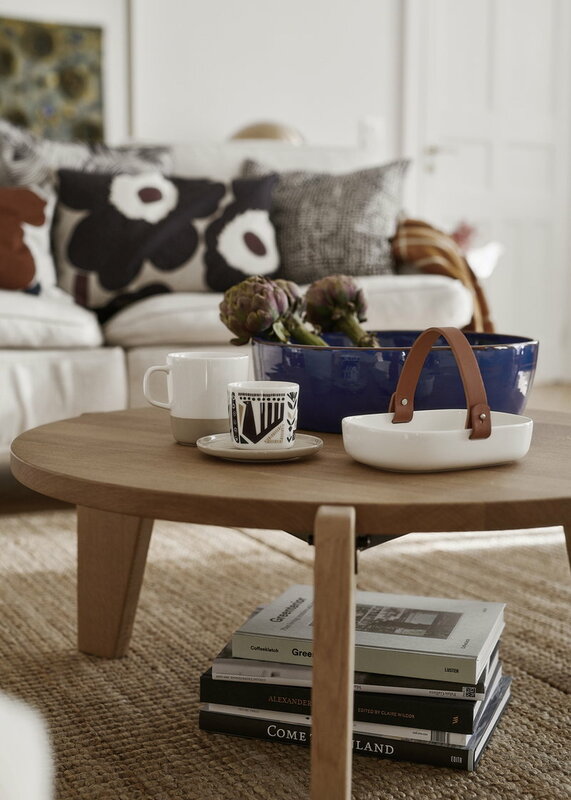 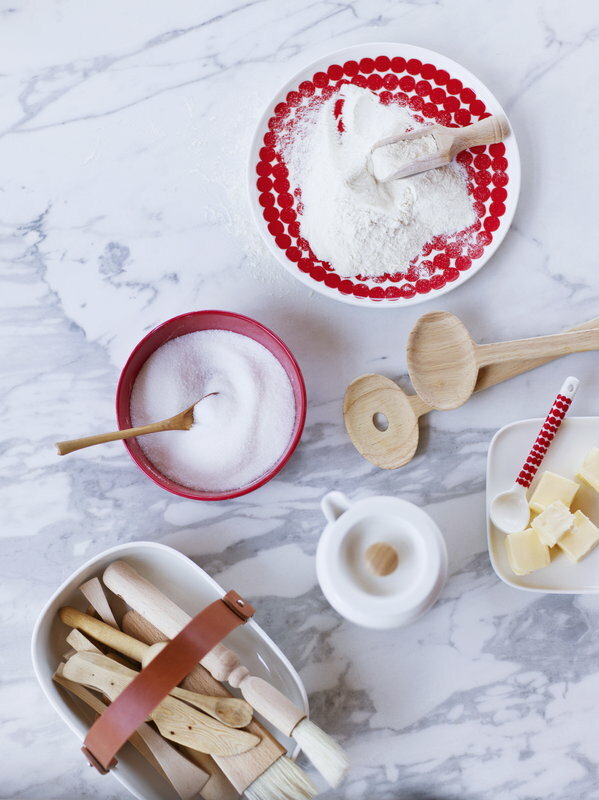 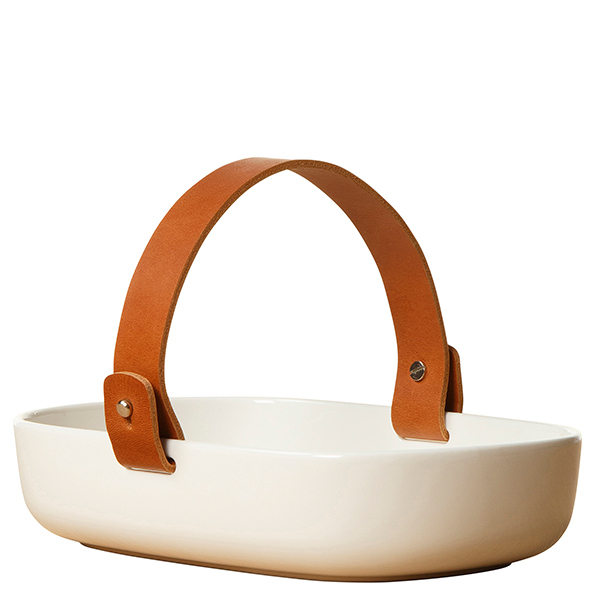 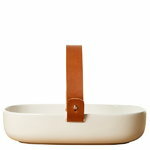 Marimekko’s Koppa is a beautiful ceramic serving dish with a leather handle. 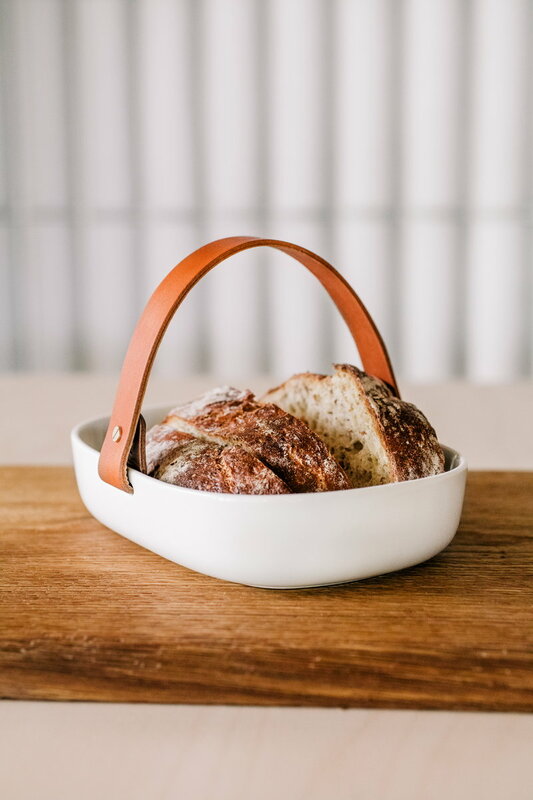 The white dish belongs to the Oiva tableware collection that is characterized by a simple and pleasant design, suitable both for everyday and festive table settings. 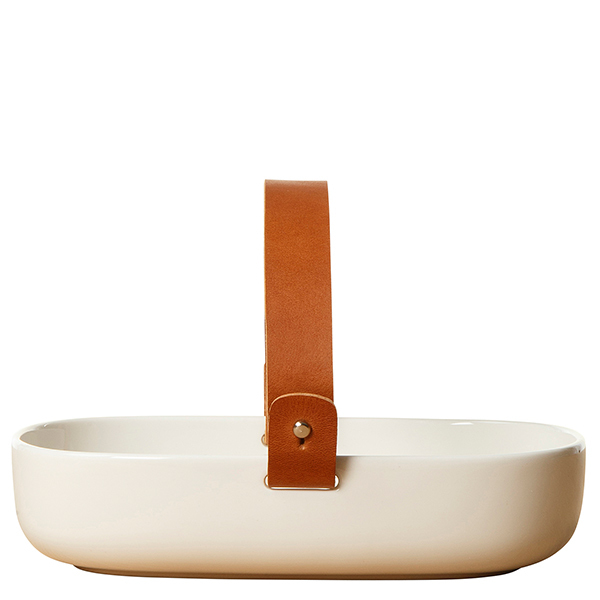 Koppa measures 20 cm x 13,5 cm and can be used for serving food, displaying small objects and storing personal items. 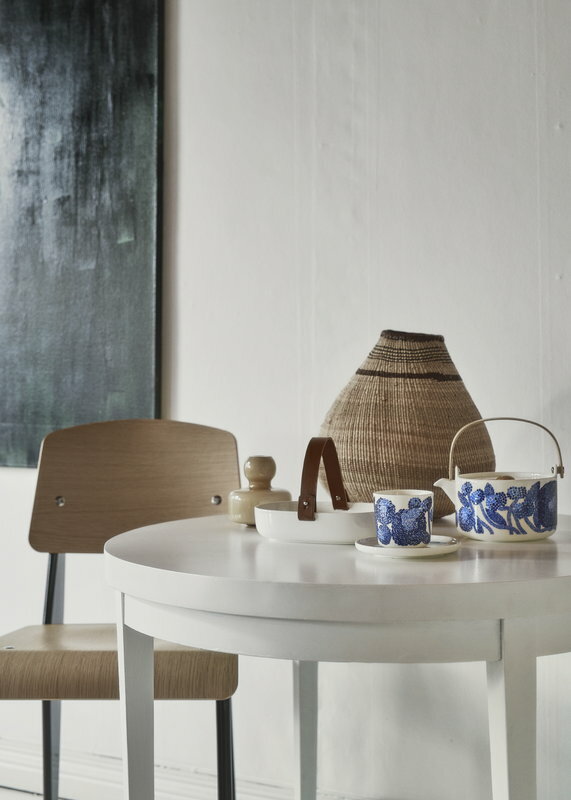 Sami Ruotsalainen is a Finnish designer who graduated from the University of Art and Design Helsinki in 2005 with a Master’s Degree in ceramic and glass design. 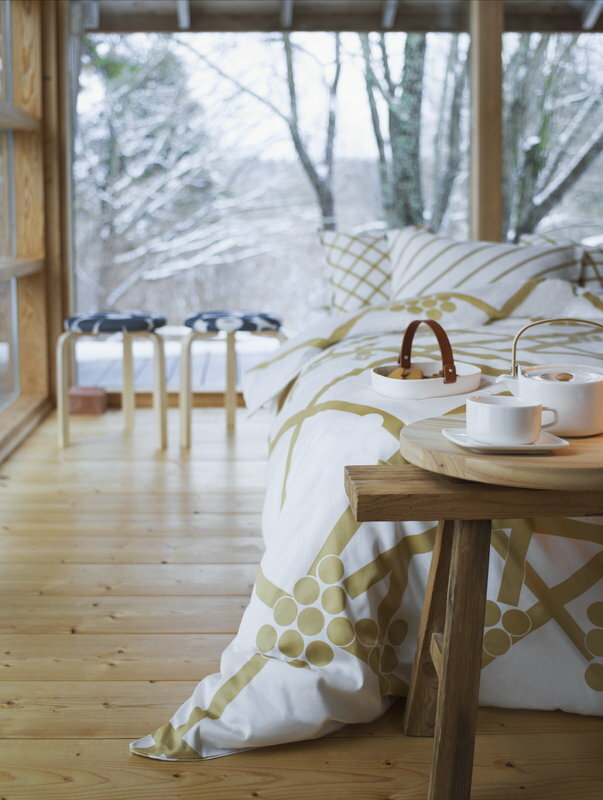 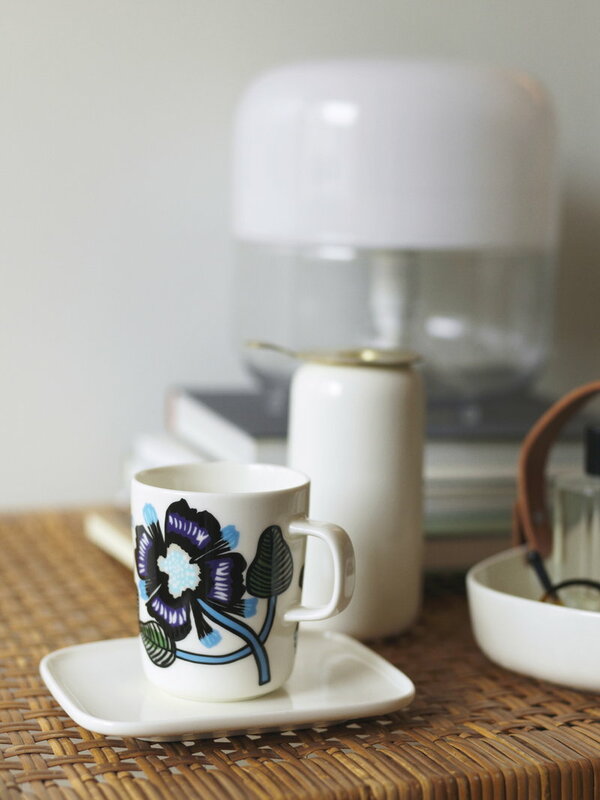 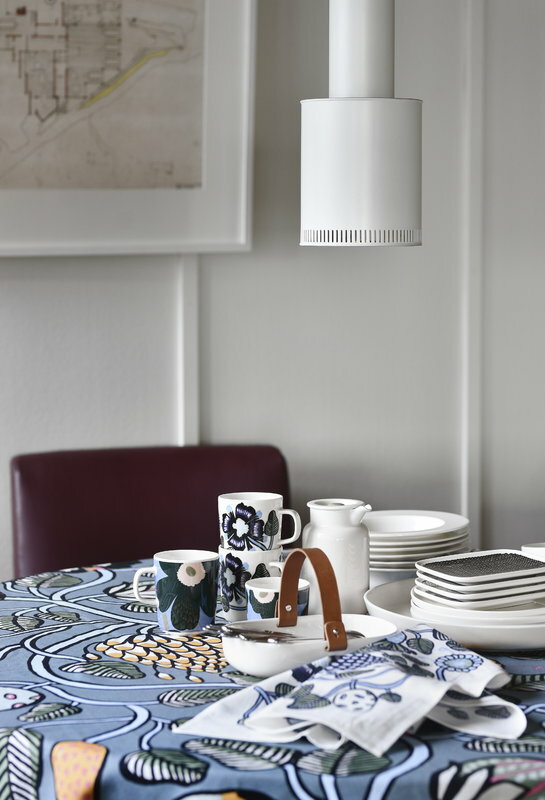 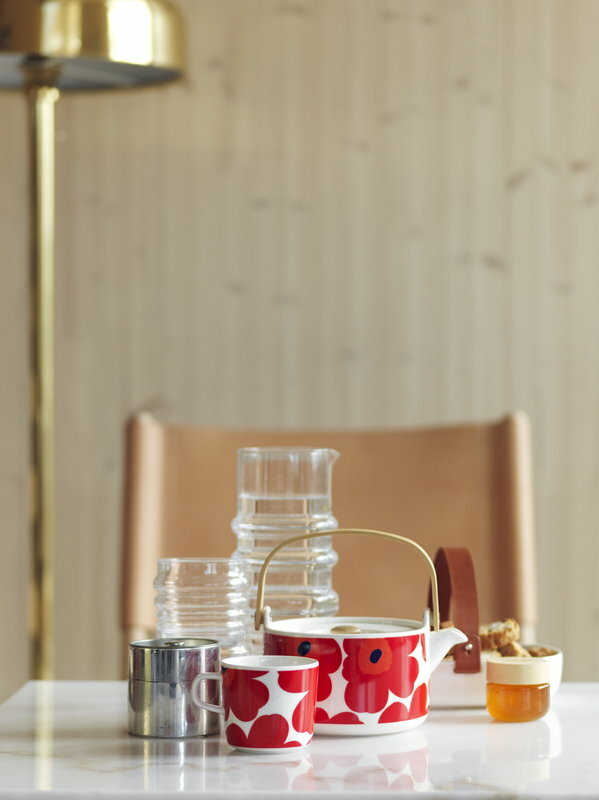 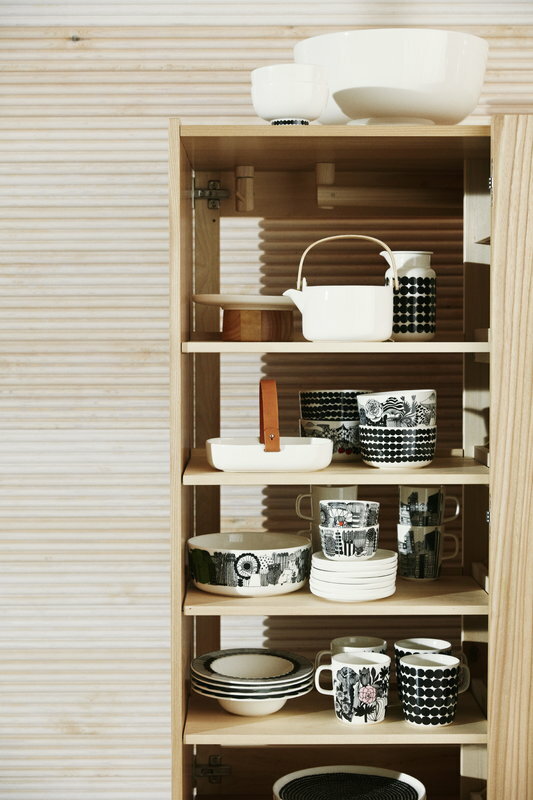 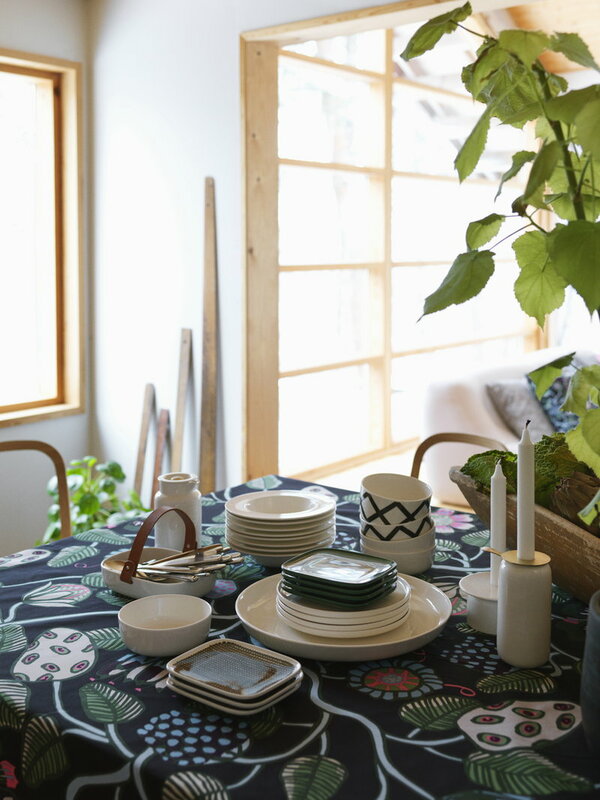 Among the most important works by Sami Ruotsalainen, there are the Maku series designed for Arabia and the Oiva tableware collection, recently created for Marimekko. 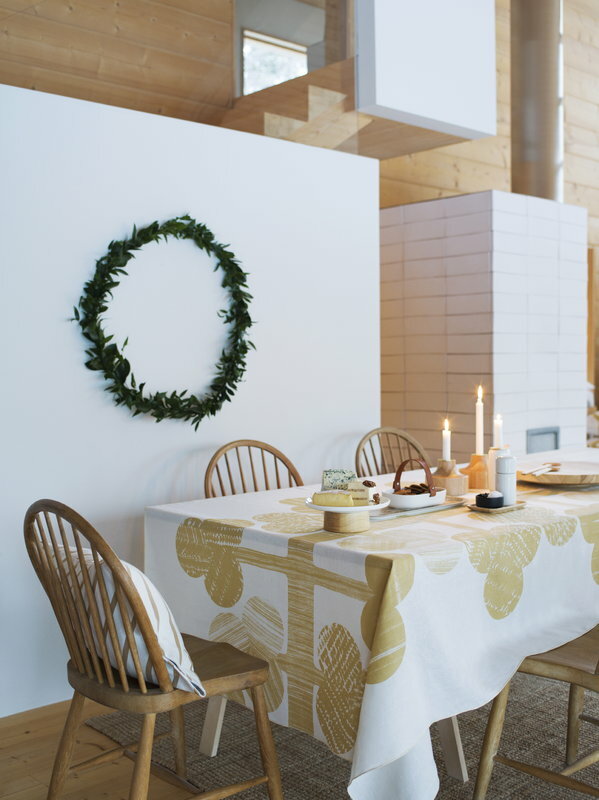 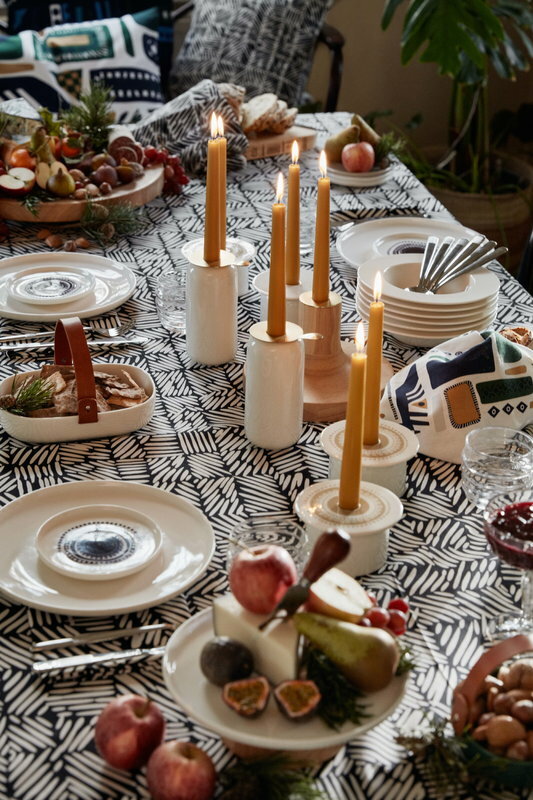 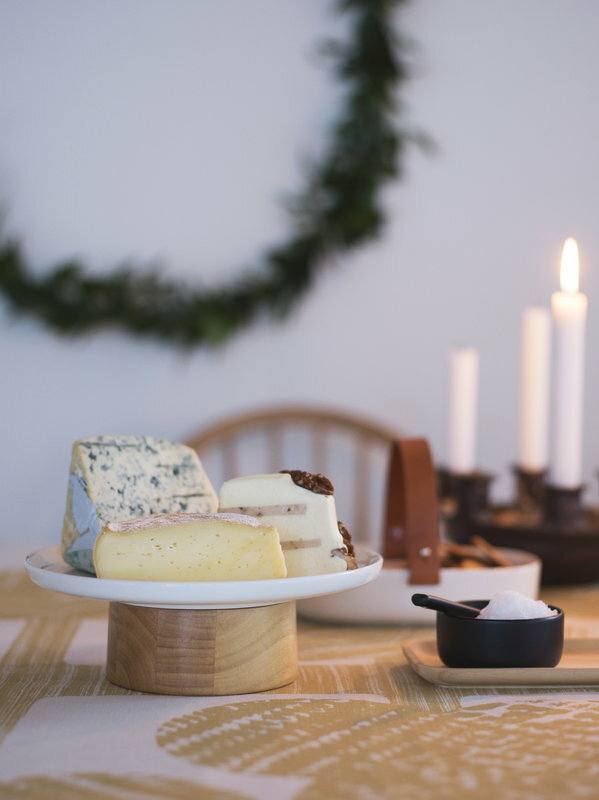 Sami Ruotsalainen has designed the strong and clean shapes of the tableware set, while the decorations are by Marimekko's pattern designers. 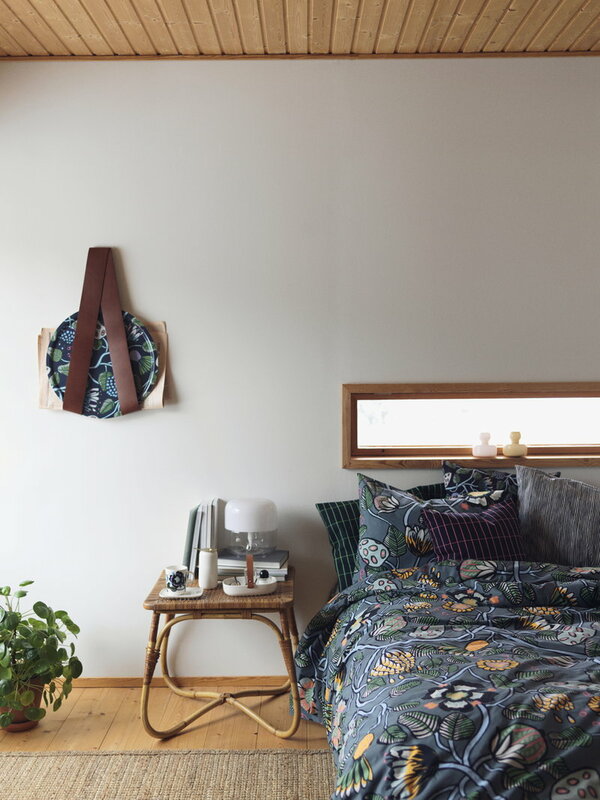 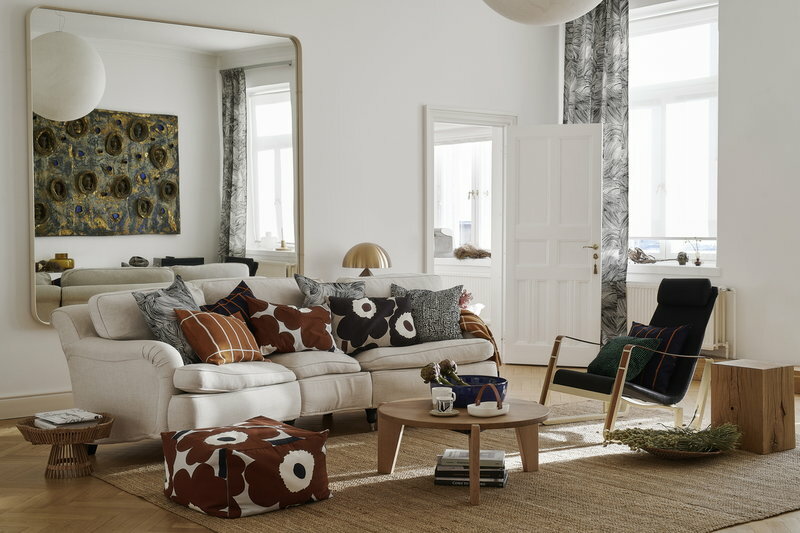 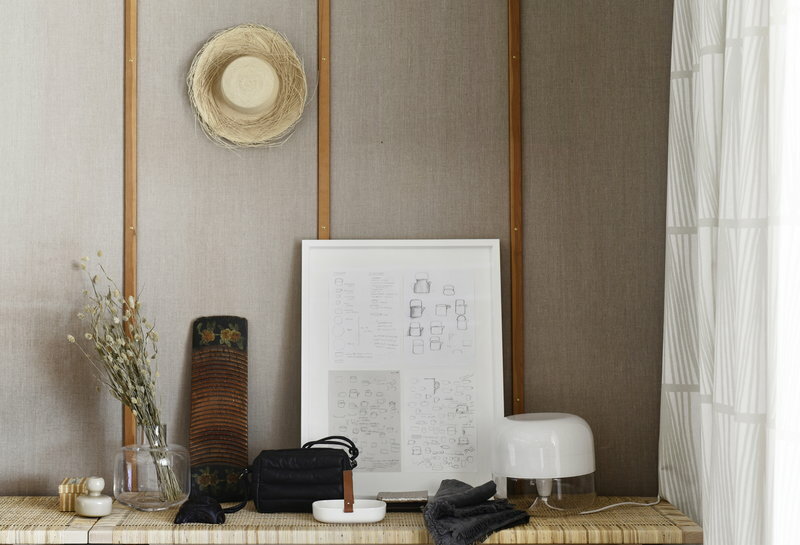 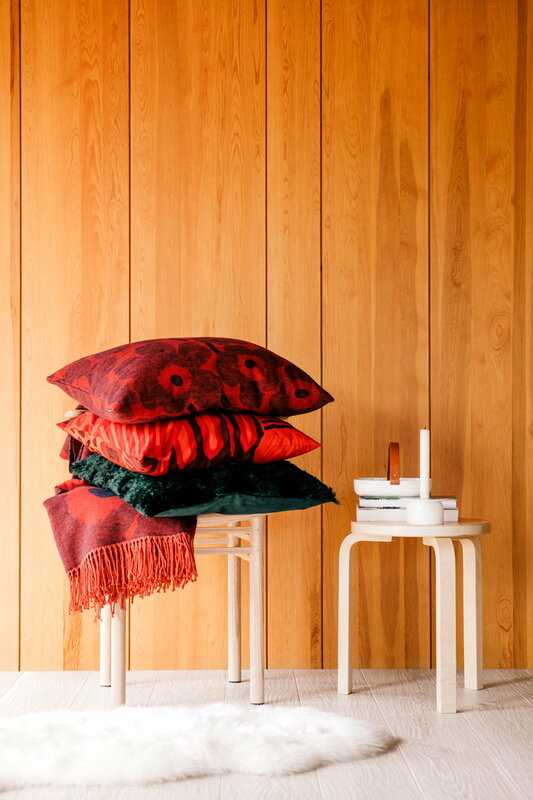 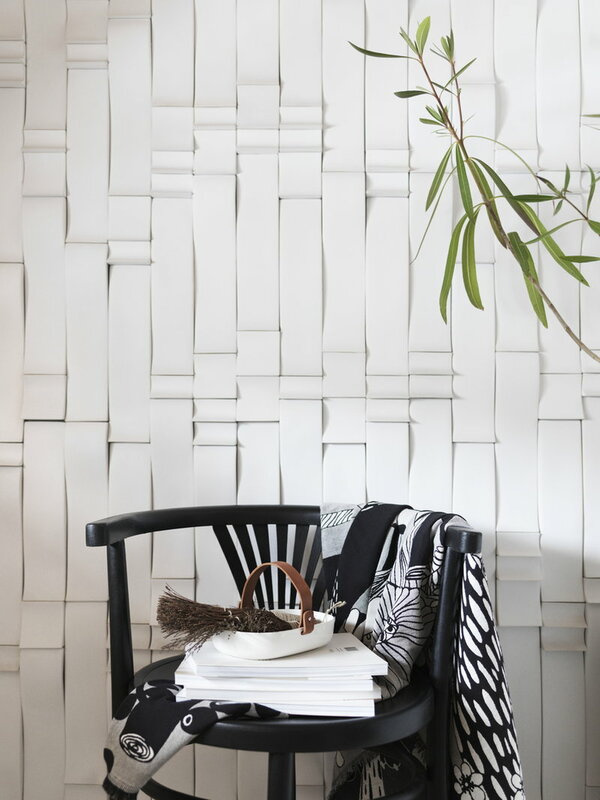 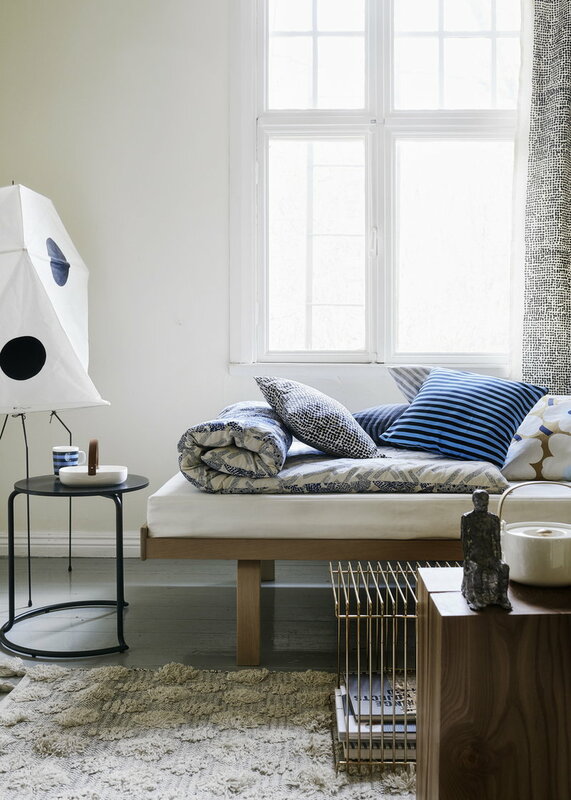 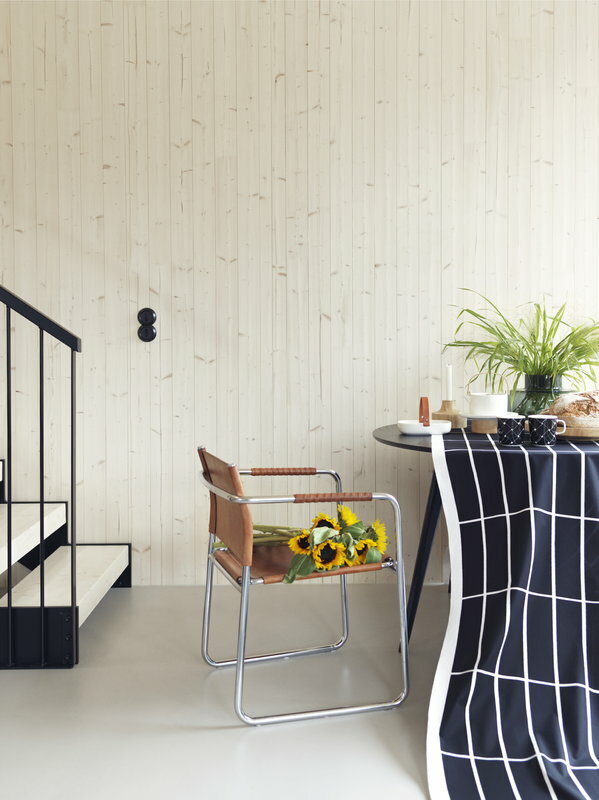 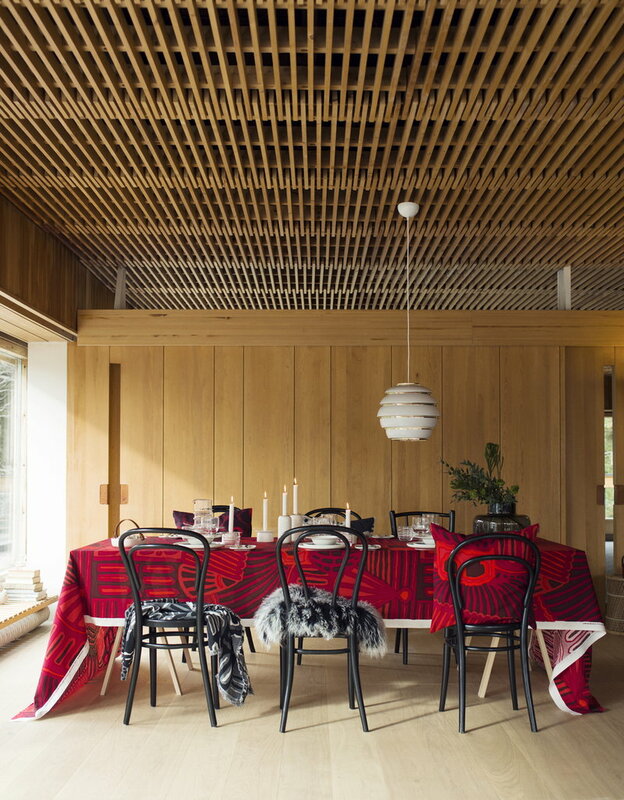 Sami Ruotsalainen has had a long working relationship with Marimekko, having acted as an assistant to Kristina Isola amongst others, and is now part of the Marimekko design team.